Wife of Joseph Gachema Kiarie, Daughter of the late Ishmael Wainaina Kamau and the late Christine Njeri Ituku, Mother of Fr. Lawrence Kiarie, Helen Wangui, Chrispin Wainaina, Mathew Chege, Elizabeth Njeri, Lilian Wanjiku, the late Stephen Kamau and Caroline Wangari. 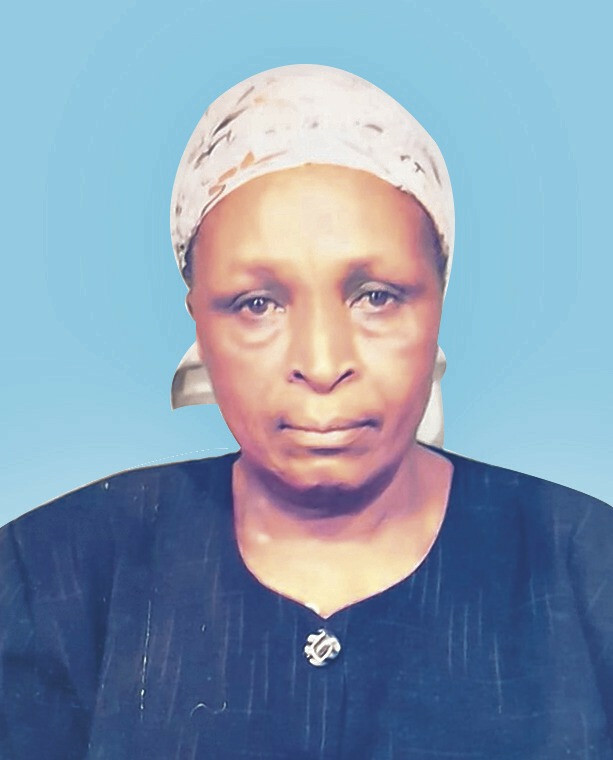 Mother-in-law of Patrick Kabuya, Lucy Wainaina, Sophia Muthoni, David Kamau, Eunice Wangui and John Wachanga. Sister of the late Wangari Wainaina, the late Joseph Kamau, Zachary Ituku, Mary Njoki, Jacinta Njambi, Teresia Waithira, Felistas Nungari, Lydia Wanjiku, the late Charles Chege and Bibianna Wambui. Grandmother of Joy, Joan, Natalie, Kayla, Christian, Jayden, Maxwell, Elvis, Larry, Oliver, Violet, Challen, Lenny, Gad, Victor, Mark and Samuel. Friends and relatives are meeting daily for prayers and funeral arrangements from 5:30 pm at her home in Karinga, Gatundu and at St. Paul’s Chapel of University of Nairobi. The cortege leaves Kenyatta University Mortuary on Tuesday 8th May 2018 at 8:30 am for a church service at Karinga Catholic Church at 10:30 am and thereafter be laid to rest at her Karinga home in Gatundu South. Mum, you have fought a good fight; you have finished the race and kept the faith. In God you receive everlasting rest, in our hearts you remain forever.